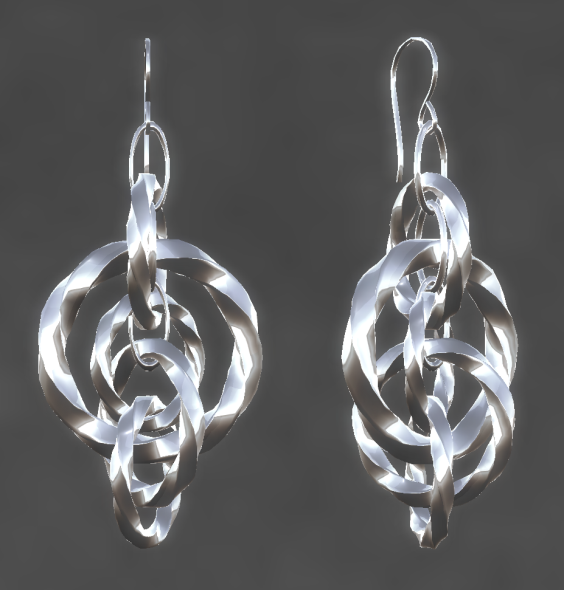 Elemental ~ Jewelry With Substance: Circular Fusion II Silver Jewelry And Two New Hunts! 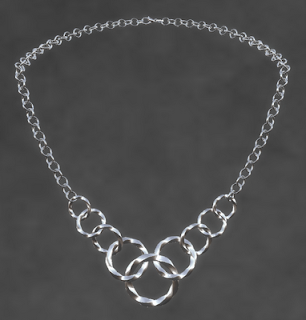 Circular Fusion II Silver Jewelry And Two New Hunts! 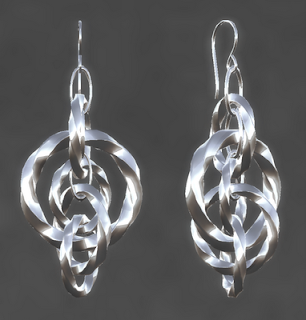 The Elemental Jewelry Circular Fusion II Silver Necklace & Earrings--Shiny, Swirly rings of silver that will match all your outfits. 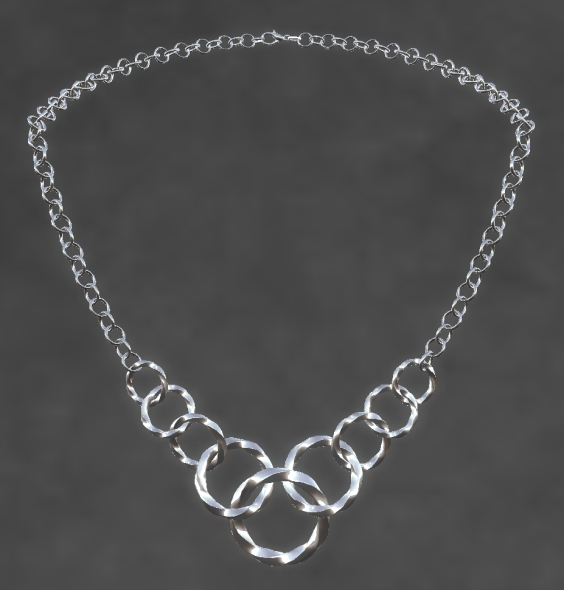 The necklace has a menu-driven resizer. Both the necklace and the earrings are on sale this week in the 60L Weekend sale. 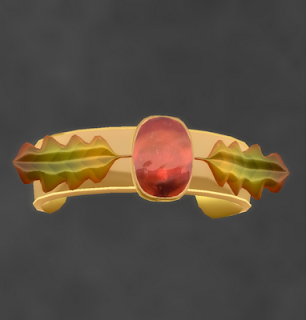 Also at Elemental Jewelry this week, The Celebration of the Arts (COTA) Hunt began Sept 15, 2011, and on Sept 16, The Nature's Hunt Miracle's of Autumn 2 started. The COTA Hunt focuses on art of all kinds--music, movies, visual arts. You could argue that jewelry making is in itself an art, but I decided to combine jewelry making with painting for this hunt gift. One of my favorite painter's is Van Gogh, so in tribute to his work I've made the Starry Night his & her's necklaces--blue cords with gold and blue "starry" beads. The her's necklace has a gold star pendant, and the his necklace has a "starry" bead pendant. Both are resizable. All COTA hunt gifts are L$1. The Nature's Hunt Miracle's of Autumn 2 is a fantasy themed hunt inspired by the beautiful colors of autumn. 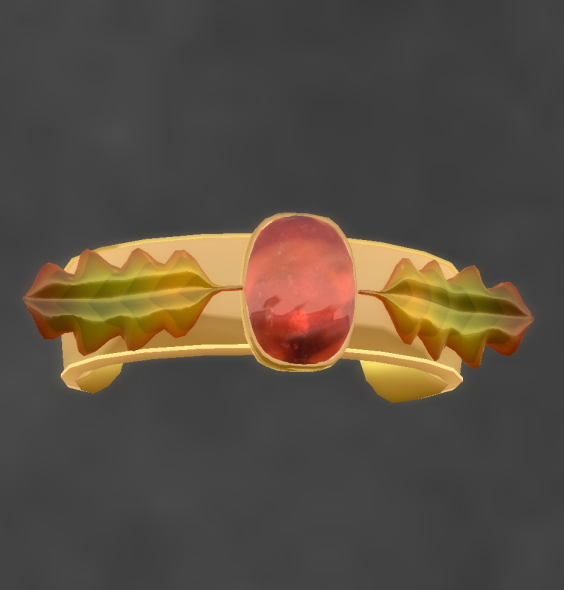 For this hunt, I've made a resizable, unisex gold cuff with a garnet stone and autumn leaves. These hunt gifts are also L$1.